Bryan Ives is co-chair of the Firm’s Corporate Transactions & Securities Group and has recently concluded a 4-year term on the Firm’s management committee and service as the Firm’s Financial Partner. Bryan has deep experience in a wide range of areas, including mergers and acquisitions, private equity, taxation and corporate governance, and debt and equity financing. Bryan began his career as a tax lawyer and is a member of the American College of Tax Counsel. Using his tax background as a platform, he works with private equity sponsors and their portfolio companies to design creative and tax efficient structures for their acquisition, financing and exit transactions. 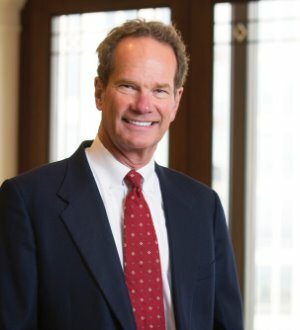 His clients have included pioneers in cellular, paging, and satellite telecommunications, and more recently, leaders in the internet, online marketing, software, alternative investment, financial advisory and fiber optic cable industries. Bryan also led the investigation and analysis of Enron’s accounting for its structured finance and special purpose entity transactions on behalf of the Enron bankruptcy Examiner. As a part of this work, he had responsibility for determining and explaining how Enron used these transactions to enhance its reported net income and cash flow and to remove debt from its balance sheet. Bryan is listed in Super Lawyers magazine, Chambers USA: America’s Leading Lawyers for Business and The Best Lawyers in America under corporate law.